Keeping the lay box on the warm side makes good sense to me. I think 90.5 is a little on the high side for incubation, but see how it goes. Got more eggs! buuuut not from Carmella... 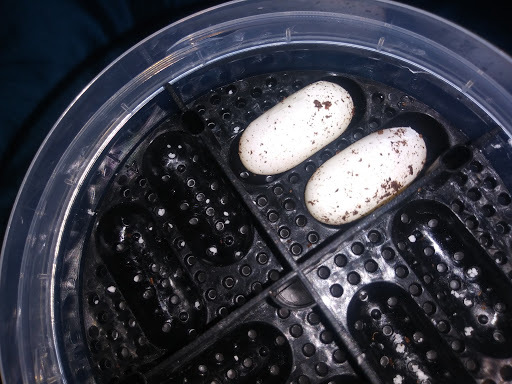 But instead from cindy, I knew she was fully ovulating and I wanted to get another pairing in before the season was over so I introduced her to Hercules on 3/20, 21 and 22 and she already layed eggs, it was barely more than 2 weeks! the other 2 girls took forever an one still hasn't popped and she just hit the 1 month mark, to be fair the other one did also. but wow totally didnt expect that and I caught em pretty much right away I think. She just scarfed a bunch of mealworms, proud of her. I really didnt expect them this soon and she wasnt really showing that much. Carmella is probably going to have some large eggs I think. She was a little bit on the hefty side to begin with tho. It seems like depending when you catch them in their ovulation cycle is when they will lay the eggs. the first two were mated early on, while this one over a month later. However she was fully ovulating while the other two were just starting. Very interesting to say the least. I did some googling and I guess 90 is what people do to insure males. I used to incubate for female, but if I were incubating for male I'd probably not go above 88 just to be sure I'm not cooking them too much. See what happens at 90 and take your cues from that. 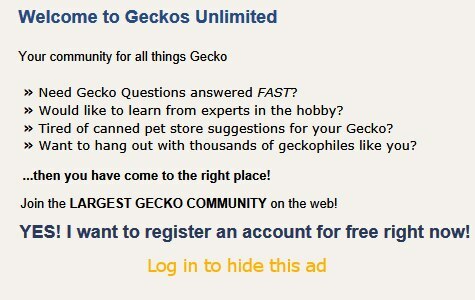 Just out of curiosity, why do you want all males? Well for this batch it wont really matter, for ones coming up hopefully will be so I can get a male het for eclipse and het for tremper albino to mate to my female tangerine raptor next year. After that it probably don't matter but I figured it wont hurt as I consider these first ones pet quality tho I know Most of their genetics and hopefully people aren't to picky about whether they get a male or female. Once I'm producing tramper albinos, raptors, eclipses, tangerines of a few sorts as well as white an yellows I'll probably mix it up for sure. Getting really concerned about Carmella.. she mated on 3/3/19 that puts her at just over 5 weeks, she is still active an looks fine besides her pregnant momma wobble but her tail is still fine an she eats once in a while tho not as much as the others obviously, and she drinks water. When should I be really worried? I have read/seen videos where they've gone this long an still layed eggs without problem but I am still getting a little worried, We are going to try the warm bath and belly rub technique as it did look like she was going into labor last night but nothing happend so hopefully this will do the trick. I'm not a very sensitive guy, I can hurt my self pretty bad an not shed a tear but when it comes to little animals or my family I'll blubber like a friggin baby if something happens, I thought about her all day while at work an on lunch it started to choke me up just thinking about it. I know these things can happen an I was aware it could always be a possibility before I started on this journey but still..
What do you think about Carmella's situation?